From our experience, we get a lot questions about treatments, so let’s not waste time on an introduction and get straight to the point. Do I have to use treatments? The short answer — no, not necessarily. Treatments aren’t strictly necessary — like we explained when talking about skipcare, your skin can be healthy even if you strip your routine down to the absolute bare bones needed. However, for skin to achieve that glass skin radiance, you’re likely going to have to boost your routine with specialized products that deliver active ingredients deep into your skin where they can have a stronger, more intense impact. Specialized products like serums, ampoules, and/or oils. Serums are more concentrated than essences but less concentrated than ampoules. They’ve been formulated to deliver active ingredients deeper into skin, so that these actives can work from within your skin and have a stronger impact, instead of simply sitting at the surface level. However, serums aren’t simply serums because of higher concentrations — they are also typically thicker in texture than essences, which tend to be more watery. Ampoules are more concentrated than serums (they’re like supercharged serums!) and are typically meant to be used for a short period of time. You don’t necessarily have to apply an ampoule to your whole face, either, but on the places on your face that require special attention — they’re kind of like spot treatments. Facial oils are, well, oils — and, before you ask, all skin types can use oils. Like much of skincare, it’s about finding the oil that’s right for you, and adding an oil to your routine can actually help balance excess production, even if you have oily or acne-prone skin. We like pure oils, which means oils that don’t have fillers and haven’t been diluted, though that doesn’t mean a facial oil just has to be made of one oil — there are beautiful facial oils that combine several difference beneficial oils to give your skin that special boost. 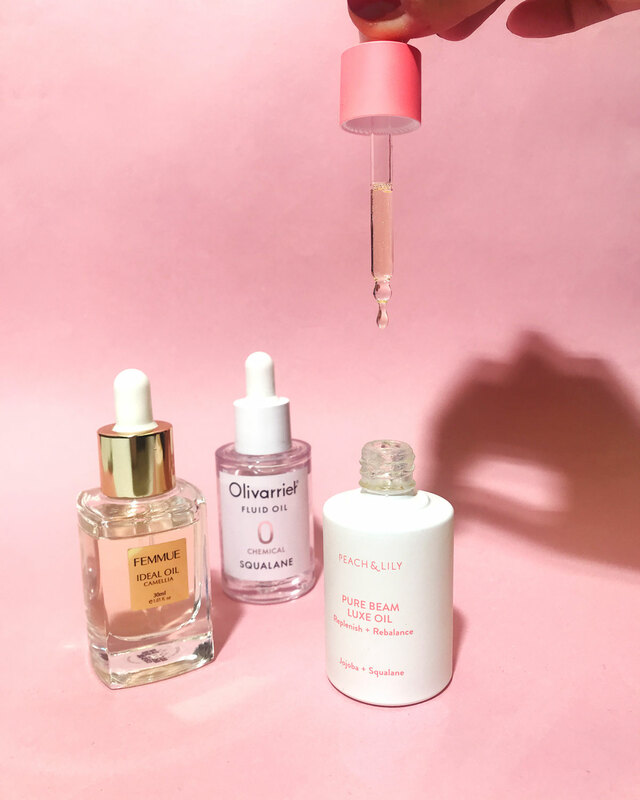 One of the main things, though, that truly separate serums, ampoules, and oils from other products is that they don’t contain fillers, like emulsifiers or emollients or occlusives like cleansers or moisturizers do. That’s why you can’t just apply a hydrating serum or ampoule and move on; that hydrating serum or ampoule might be packed with hydrators; but it won’t have the occlusives in a moisturizer that seal that moisture in, leaving all those hydrating ingredients to evaporate out of your skin into the atmosphere. Unfortunately, that really is the best answer — apply treatments by viscosity, from lighter to heavier. And then apply a facial oil. Viscosity refers to the weight or thickness of the product. For instance, serums tend to be thinner in texture than ampoules, which might be more gel-like, having more body than a serum. However, this isn’t a set rule; sometimes, a serum might be thicker than an ampoule; so you should apply the thinner product first. We would say a good loose rule is to apply treatments in the order we discussed them — serums first, then ampoules, then oils. If you’re using more than one serum, pay attention to the texture and how it feels when you’re applying it — does this particular feel more watery, seeping into your skin so you’re patting it in? Or does it feel more gel-like, like you need to massage it into your skin? Trust your intuitions! You likely know more than you think you do, and listen to your skin. There’s no saying you have to use all the treatments all the time. It’s far less important for you to be doing all the steps and using all the products than it is for you to be listening to your skin and giving it what it needs at that specific point in time. Sometimes, that means adding a vitamin C ampoule to target a specific area on your cheeks with hyperpigmentation for a few weeks, or, sometimes, that means adding an oil during drier weather to provide your skin extra nourishment. Sometimes, that means just using one all-over serum and moving on — so listen to your skin, and feel free to play around and adjust your routine as necessary. Cool — what treatments do you recommend? The Peach & Lily Glass Skin Refining Serum is filled with a hyaluronic complex, peach extract, and madecassoside, amongst other beneficial ingredients, to be your fast-track to glass skin. 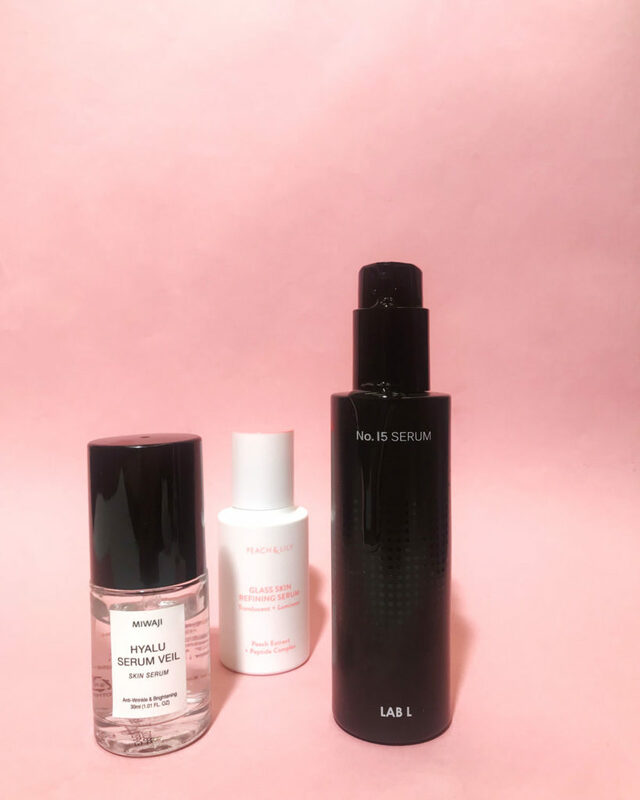 Miwaji’s Hyalu Serum Veil was formulated by a dermatologist in Korea who wanted to create a product that would deliver intense hydration to skin. Eco Your Skin’s No. 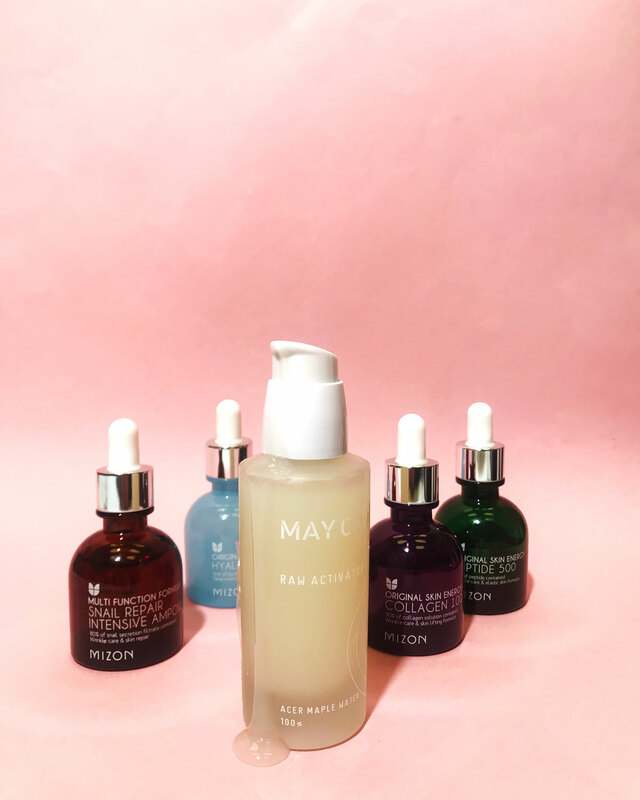 15 Serum comes from one of Korea’s most innovative labs to hydrate and help plump skin while creating a shield over your face to protect it from pollutants. Mizon might be most famous for their line of products featuring snail extract, but they have a series of ampoules that each target different concerns — Hyaluronic Acid 100 provides hydration; Collagen 100 helps firm skin; Peptide 500 helps reduce the appearance of fine lines and wrinkles; and the Snail Repair Intensive Ampoule brings all the multi-faceted benefits of snail extract in a hyper-concentrated formula. May Coop’s Raw Activator helps firm skin and maintain elasticity. The Peach & Lily Pure Beam Luxe Oil is a beautiful blend of jojoba oil, squalane, grapeseed oil, camellia oil, and grapeseed oil. Femmue’s Ideal Oil is 67% pure camellia oil, sourced from Jeju Island, boosted with other olive oil, rosa oil, grapeseed oil, and jasmine oil. Olivarrier’s Fluid Oil Squalane is 100% squalane oil that is vegan and cruelty-free! We hope that helps answer some of your questions about treatments! If you have any other questions (or more specific questions), leave them in the comments below, and we’ll answer them!